The research presented in this thematic issue challenges a thesis that to date has dominated literature on former CMEA countries, namely that individually or as a Bloc, they sought self-suficiency. Quantitatively, these countries involvement in world markets has of course never been extensive. 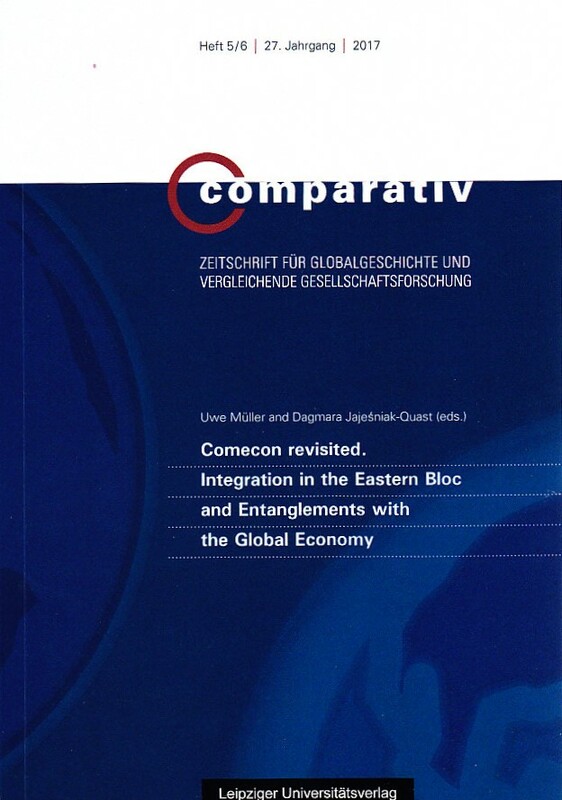 In fact, during the post-socialist transition to an open-market economy, the East Central European countries appeared more de-globalized than during the CMEA period. Although these countries became an important site of direct foreign investment in the 1990s (and even more so after EU accession in 2004), they primarily functioned as an “extended workbench” of the West. The qualitatively low involvement of the national economies of this region in the world economy is thus an “old phenomena,” which Ivan T. Berend rightly described as a “detour from the periphery to the periphery.” However, when assessing the character of economic interdependencies, it is also helpful to analyse the transnational activities of speciic actors and the development of corresponding networks. The beneit of examining the history of socialist integration from the perspective of everyday life or “from below” is demonstrated by many of the contributions to this volume. Even during the Cold War when European-wide communication seemingly had broken down, economic integration was contemplated and discussed. These discussions should be seen in relation to eforts at integration in the 90s and those of the Visegrad countries in the 1990s.